We live in a world where a tweet can be instantly retweeted and read by millions around the world in minutes, where a video forwarded to friends can destroy a political career in hours, and where an unknown man or woman can become an international celebrity overnight. Virality: individuals create it, governments fear it, companies would die for it. So what is virality and how does it work? Why does one particular video get millions of views while hundreds of thousands of others get only a handful? In Going Viral, Nahon and Hemsley uncover the factors that make things go viral online. They analyze the characteristics of networks that shape virality, including the crucial role of gatekeepers who control the flow of information and connect networks to one another. They also explore the role of human attention, showing how phenomena like word of mouth, bandwagon effects, homophily and interest networks help to explain the patterns of individual behavior that make viral events. Drawing on a wide range of examples, from the Joseph Kony video to the tweet that spread the news that Osama Bin Laden was dead, from the video of Homer Simpson voting in the US elections to the photo of a police officer pepper-spraying students at the University of California Davis, this path-breaking account of viral events will be essential reading for students, scholars, politicians, policymakers, executives, artists, musicians and anyone who wants to understand how our world today is being shaped by the flow of information online. Karine Nahon is associate professor at the Information School, University of Washington, where she is also director of the Virality of Information (retroV) research group and former director of the Center for Information & Society. Jeff Hemsley is Assistant Professor in the School of Information Studies, Syracuse University, New York. 4 What Makes Something Viral II: What is everyone looking at? 5 What Makes Something Viral III: Caught in the Viral Net! 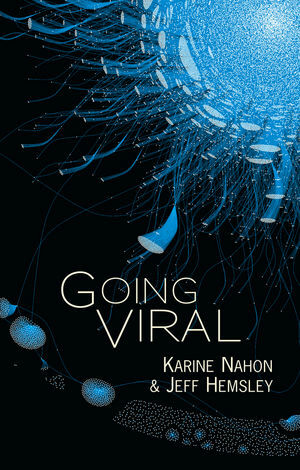 Going Viral has won the 2014 Best Book Award by ASIS&T (Association of Information Science and Technology), and was named an Outstanding Academic Title by Choice Magazine (Association of College and Research Libraries). "This concise and insightful book targets a niche topic in the studies of digital media that is becoming increasingly relevant to the public. It considers many questions and successfully accomplishes what it sets out to do. Students of media, digital worlds, and information will not be disappointed." This book is the first account of the phenomenon of virality - that is, of how and why some videos, tweets and other forms of information go viral online. The authors analyse the factors that help to determine why some things go viral online and others don’t, including the characteristics of networks, the role of gatekeepers, the significance of word of mouth, bandwagon effects, homophily and interest networks. They use many topical examples to develop their analysis and show its relevance, such as the Joseph Kony video and news of the death of Osama Bin Laden. This path-breaking analysis of viral events online will be of great interest to a wide range of readers, from students and scholars in media, communication and information studies to politicians, policymakers, people who work in business, marketing and the media, musicians, artists and anyone who wants to understand the fundamental ways our information environment is changing today.